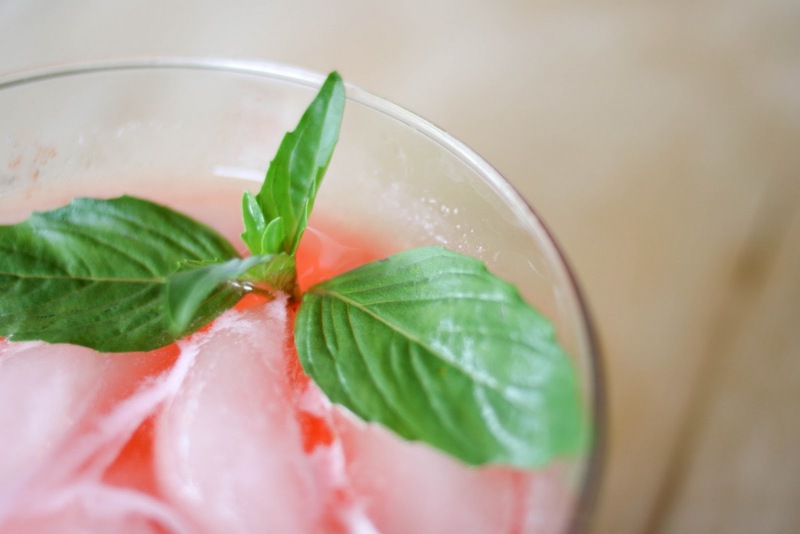 Many people have preconceptions about what a lady likes to drink. 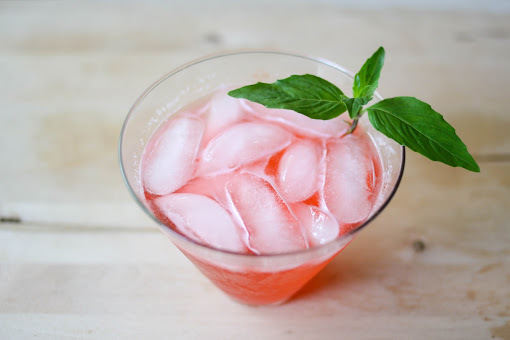 Often times more than not, people associate "girly drinks" with well, girls. I guess I'm kind of an anomoly. I actually quite love beer and prefer them ten times over mixed drinks. When I do hit that "hard stuff" I prefer gin, especially in the form of gin & tonics! There's something so refreshing about the herbal notes in gin mixed with some fizzy tonic water, and of course with a good dose of fresh lime. After perusing through the Foodgawker and Tastespotting archives for rhubarb recipes, I was quite taken by the idea of rhubarb gin & tonics. It's the combination of my favorite drink with my new favorite Summertime ingredient! Combine everything in a heavy-bottomed saucepan and bring to a boil. Lower the heat to a simmer and cook gently until the fruit is soft and the liquid has thickened slightly, about 20 minutes. Strain through a fine mesh sieve, pressing on the solids to remove excess liquid. 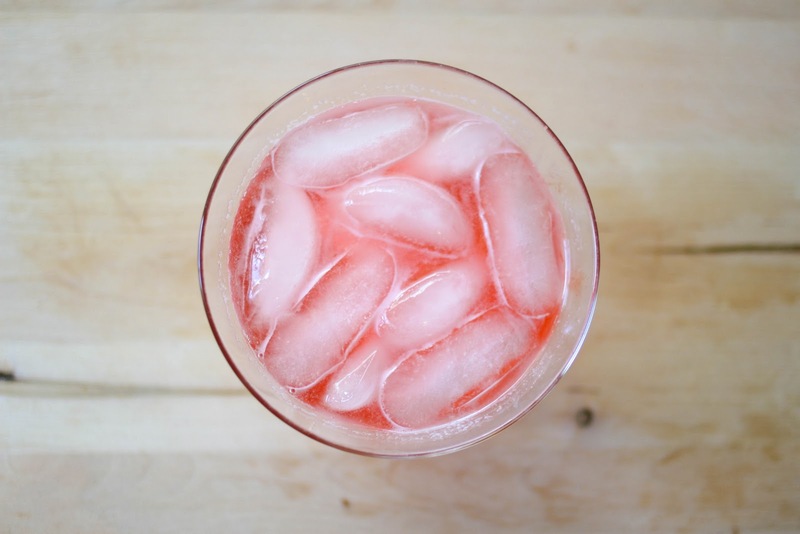 Pour into a bottle and refrigerate until ready to use. 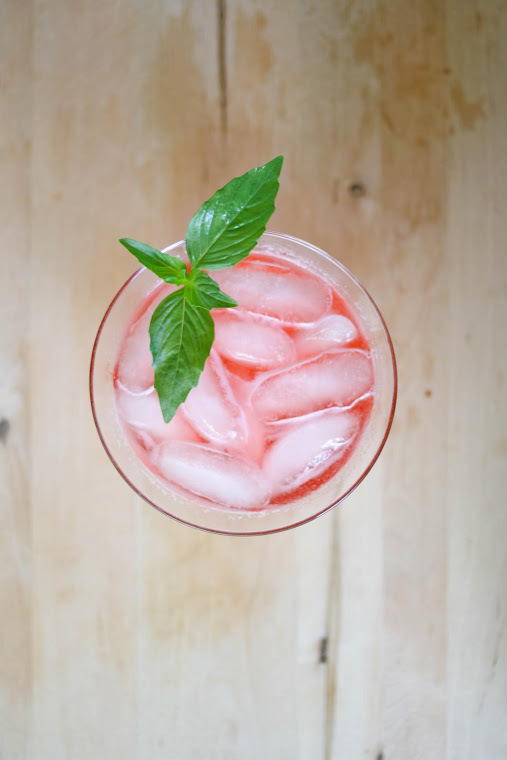 Combine everything over ice, enjoy! I just began a hopefully long and fruitful love affair with rhubarb this spring. Not usually a fan of gin, but I would give this a shot for the rhubarb and beautiful color. I just happen to have four cups of rhubarb in the freezer...might have to have the hubs make this tonight! 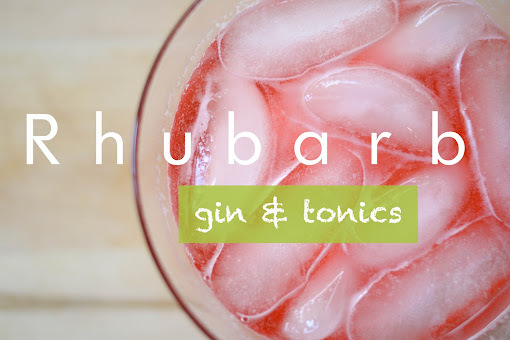 I love gin and tonic and I love the idea of adding rhubarb. It sounds delicious. Beautiful photos too!